E3, the Electronic Entertainment Expo, is going to kick off tomorrow with all sorts of news on new games, gadgets, and electronic wet dreams. 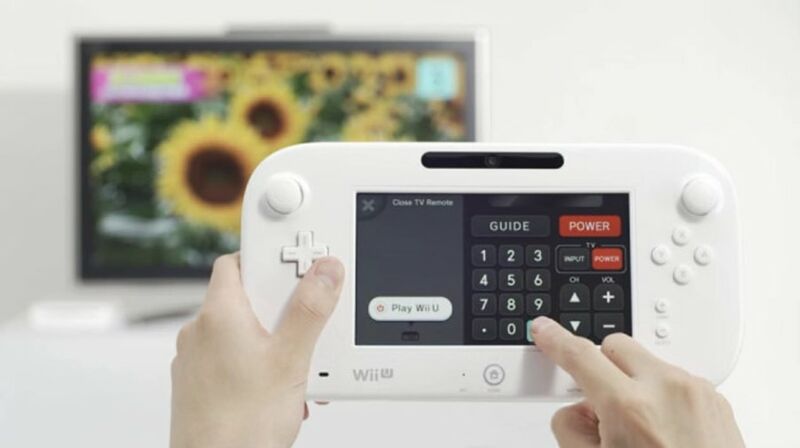 Nintendo decided to get a march on the competition by showing off the new WiiU controller tonight. It turns out that the new controller is pretty much the same as the prototype I saw back at CES. They did add a few extra buttons around the screen but the general design looks to be the same. I think the best description for the WiiU controller is that it resembles a 6" tablet with 2 Nintendo Wii controllers super-glued on the short ends, making it something completely new in console gaming (unless you count the Sega Nomad, the mobile version of the original Sega Genesis console). Nintendo talked about the platform; the WiiU is going to be more social than the Wii. It sounds like even games that don't have social features will be able to use the online part of the WiiU platform. And the controller is also now going to double as a TV remote control. But the one detail I was most interested in wasn't mentioned at all. Way back before CES there was a rumor that the WiiU was going to get a content store, and that might possibly include ebooks. We still don't know if that rumor is true, just that it wasn't confirmed tonight. I plan to keep my eye out for more news from E3. I'm also going to be watching for news on rumor about a new StoryTeller service for the Sony PlayStation. I'm still not sure I believe that rumor but it does sound interesting. If Sony were to do ebooks on a gaming device, they would do it on the Vita and they would’ve done it at launch. I don’t doubt some people *will* use the WiiU gamepad to read ebooks at some point, but it will almost certainly be a hack. (Of course, that assumes the WiiU doesn’t tank. So far it has a bit of a “fresh lemony scent”.